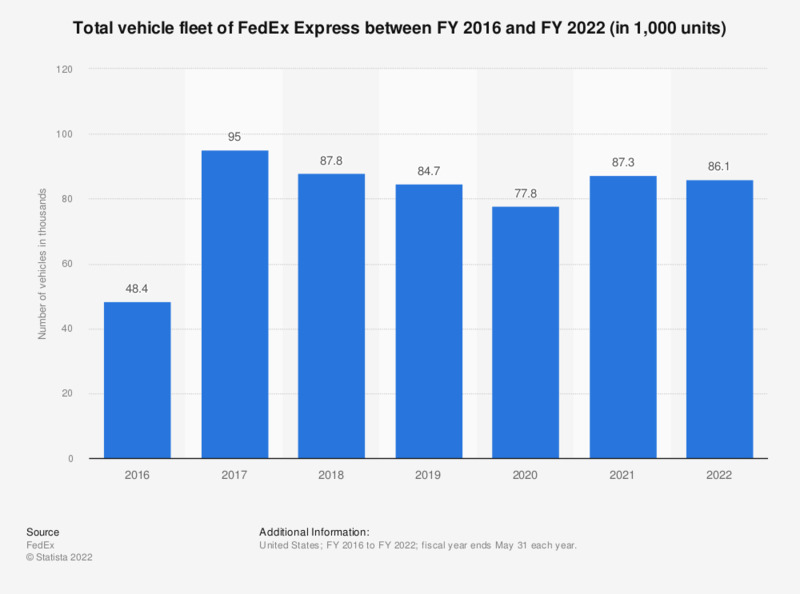 This statistic depicts the total vehicle fleet of FedEx Express between the fiscal year of 2016 and the fiscal year of 2018. In the fiscal year of 2018, the FedEx Express segment of FedEx Corporation maintained a fleet of around 59,700 vehicles. Fiscal year ends May 31 each year.